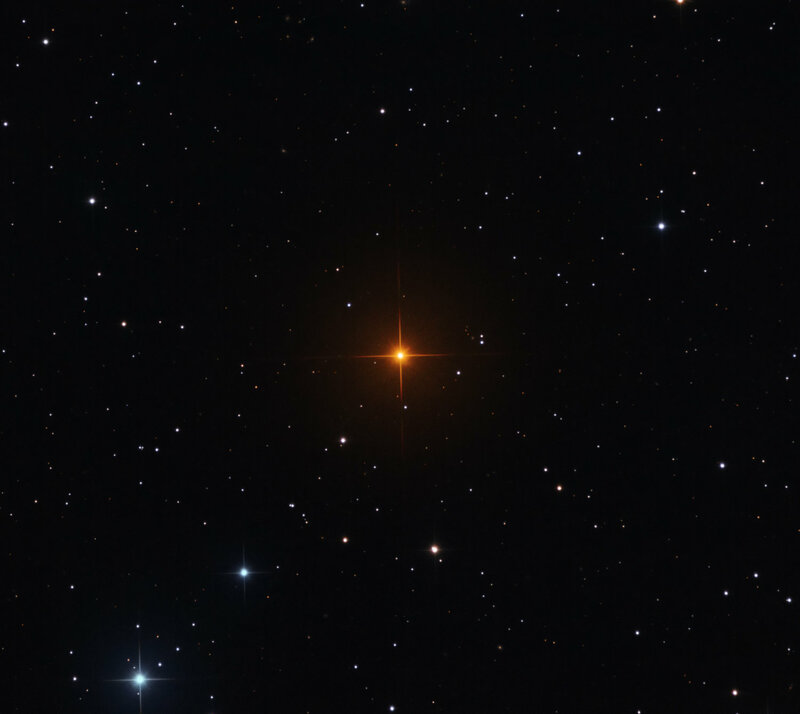 Better known as Hind's Crimson Star, R Leporis is a rare star in planet Earth's night sky. It's also a shocking shade of red. The star's discoverer, 19th century English astronomer John Russell Hind, reported that it appeared in a telescope "... like a drop of blood on a black field." Located 1,360 light-years away in the constellation Lepus the star is a Mira-type variable, changing its brightness over a period of about 14 months. R Leporis is now recognized as a carbon star, a very cool and highly evolved red giant with an extreme abundance of carbon. Extra carbon in carbon stars is created by helium fusion near the dying stellar core and dredged up into the stars' outer layers. The dredge-up results in an overabundance of simple carbon molecules, like CO, CH, CN, and C2. While it's true that cool stars radiate most of their energy in red and infrared light, the carbon molecules strongly absorb what little blue light is left and give carbon stars an exceptionally deep red color. R Leporis is losing its carbon-rich atmosphere into the surrounding interstellar material through a strong stellar wind though, and could be near the transition to a planetary nebula. Oh, and Happy Halloween from the folks at APOD.